Traveling through Google Brazil's Street View is an amazing trip of luxury and misery, even while one can't get into the favelas for risk of being killed. There's no need though. You can find death elsewhere. Warning: Strong images inside. This is one case: A murder in Belo Horizonte, in the State of Minas. You can see the body covered in a black plastic, surrounded by the military police. Here is another killed man, found in Praça Noronha Santos, in Rio de Janeiro. Authorities have not released any information yet, but a journalist friend in Brazil tells me the man was probably run over by a car. 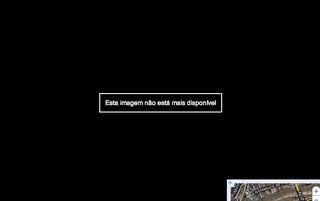 These images have been removed from Google Street View already, but not before they were captured by Brazilian Google Street View users.